← Nordic docs – Wet and Steamy! 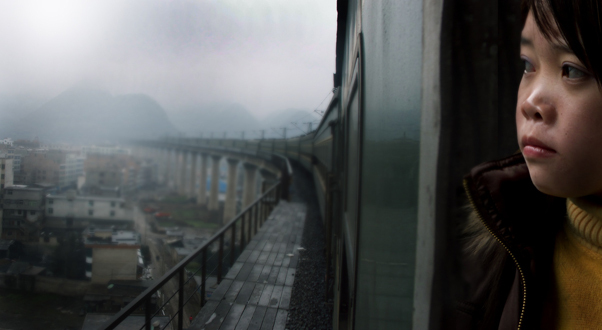 One film that is definitely on my radar to see this year at AFI-Discovery Channel Silverdocs is LAST TRAIN HOME, directed by Lixin Fan. Every spring, 130 million migrant workers journey to their home villages for the New Year’s holiday. 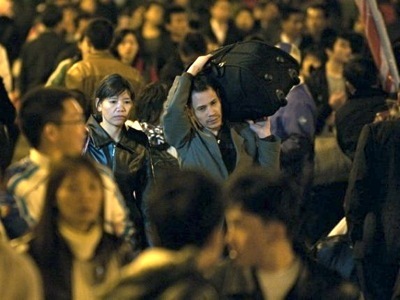 This is the largest human migration and it plunges China into chaos. The Zhang family is followed throughout this stunning beautiful documentary. The two parents, Changhua and Sugin, leave their two children behind their two infant children with their grandmother in order to work in factories. The director notes that “being away from one’s family was never encouraged, but a changing society shifted the value toward a pragmatic approach of bettering one’s material life.” Parents work away from home and send their earnings home to the grandparents and children, but this material comfort does not translate into “filial” affection. Chen Suqin, who, during the documentary has not seen her children in 3 years, admits to the director, “I know I haven’t been a good mom, but I have to do what I have to do.” I think that this film will definitely show the heartbreaking family dynamics of numerous Chinese families and how their relationships and values have been completely shattered. I think it will be very important for audiences to see this film-seeing this enormous exodus of Chinese men and women return to their families will definitely astound many and will make us think about how lucky Americans are to not have to experience anything at this level of extremity. The struggle for men and women to find a place on a train to their home amongst the great sea of humanity is definitely something that you must see to believe! Q: In making this film, what have you learned which is most precious? A: One thing I have learned is that a candid relationship between the filmmaker and the subject is essential to making a strong and truthful representation of life. During the production, the crew and the subjects talked about everything together. I sensed as a filmmaker that you can’t only think of what you can get from your subject, you have to share your own ideas and emotions. Many times, I got great footage when I felt I was with my subjects in their emotional world. I live the moment with my subjects, my heart feels their pain, their love, their sorrow and courage. But at the same time, my mind keeps my rational thinking. 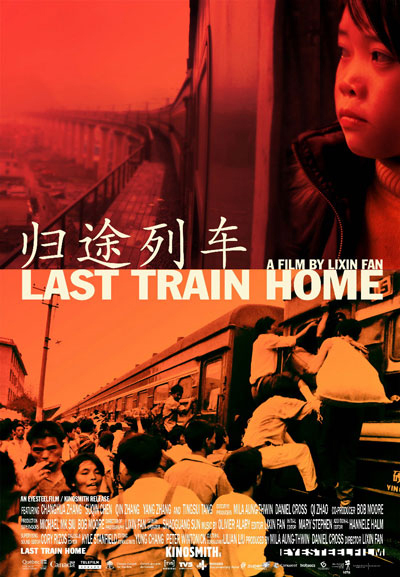 Don’t miss the screenings for LAST TRAIN HOME this year at Silverdocs!